Last weekend, I updated My Favorite Quick Service Restaurants at Disney World post, which you can view here. 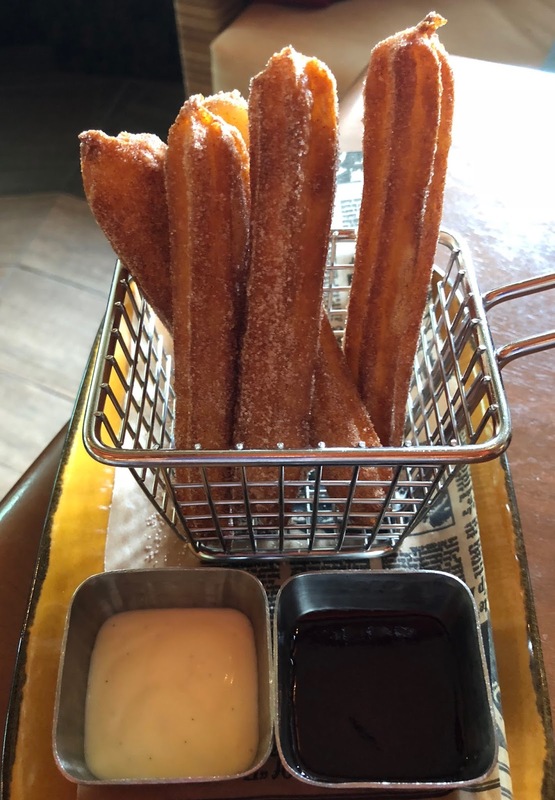 Today, I am tackling my favorite table service restaurants, starting with some of my favorites at Disney Springs and the Disney Resorts, where no park pass is needed. 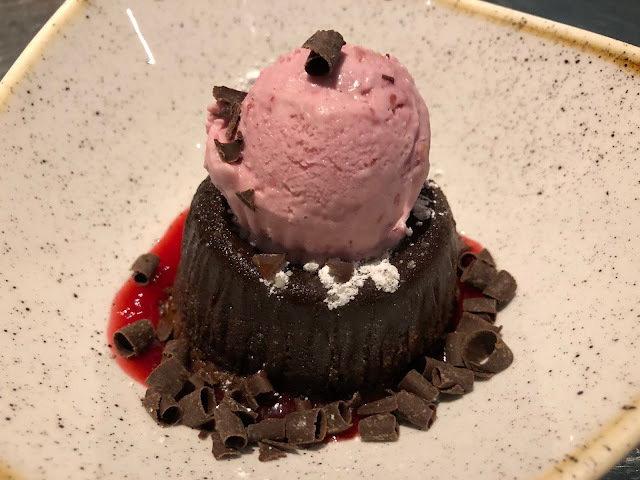 My family prefers to eat at table service restaurants, because we feel the quality of the food is better, there are more gluten free options for me, and we like to sit and relax a couple of times each day during our Disney vacations. Links to more detailed, specific reviews are found throughout this post, including the headings. Sanaa, which features African cooking with Indian flavors, is probably our favorite restaurant at Disney World. I love that I can watch the animals on Sunset Savannah, while I enjoy gluten free naan with accompaniments, lamb shank, butter chicken, and their amazing triple chocolate mousse dessert. Sanaa is open for breakfast (quick service), lunch, and dinner, and it is our top pick for holiday meals, including Thanksgiving and Christmas dinners. Trattoria al Forno is our favorite restaurant for Italian cuisine at Disney World, and it is a short walk from the back entrance of Epcot. They only use gluten free breadcrumbs, so their fried calamari, chicken Parmesan, and meatballs are all gluten free. 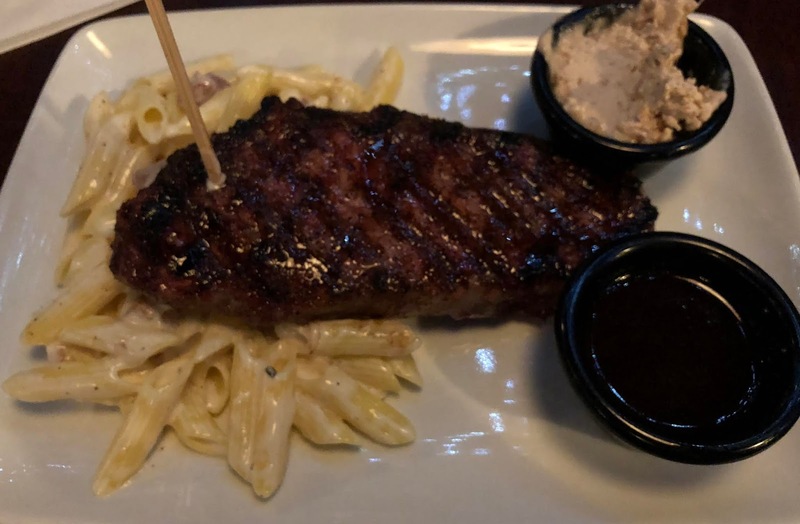 Trattoria al Forno's oak-grilled strip steak is one of the best entrees I have ever had at Disney World, and I love finishing my meals there with pistachio-stracciatella gelato. Boma is our favorite breakfast and dinner buffet at Disney World. Their Mickey waffles are amazing, and they offer fun toppings, like pecan praline sauce. I always worry about cross contamination on buffets, so I speak to a chef, and ask for food from the back. My new favorite signature dining restaurant at Disney World is STK in Disney Springs. I loved everything I tried there in July, including their steak, sides, the cocktail I ordered, and dessert. 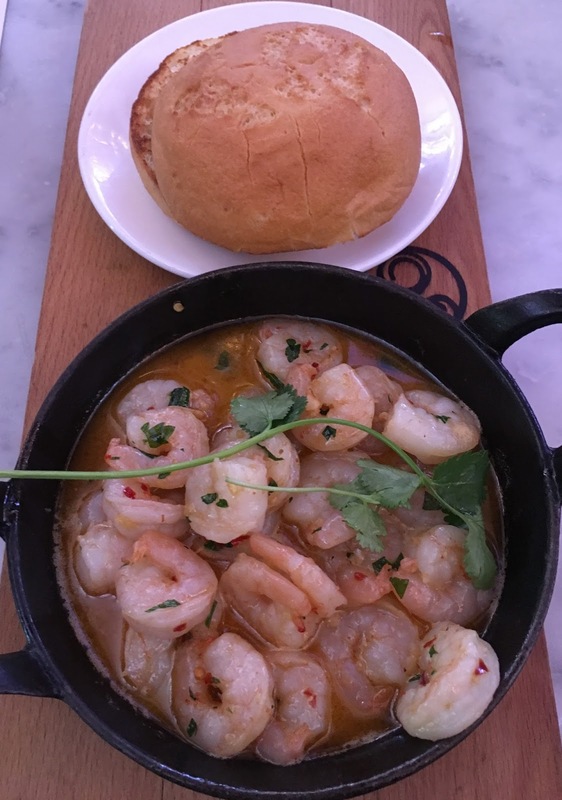 STK is pricey, but the food is so good, it is worth the splurge. 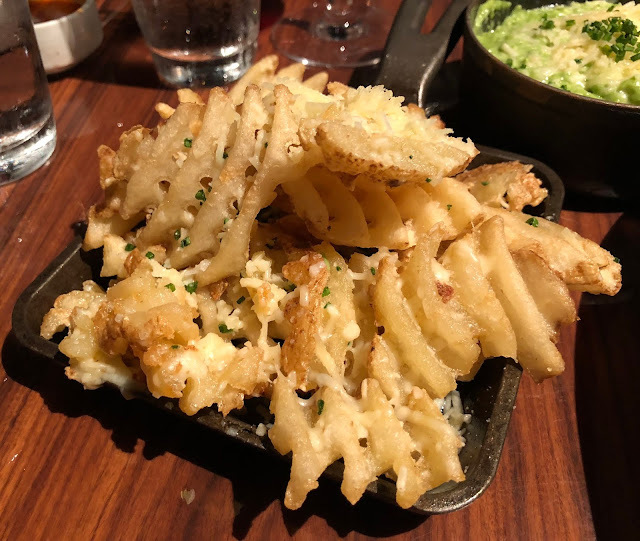 Their Parmesan truffle waffle fries are my new favorite fries at Disney World. Raglan Road is the place you want to go if you are missing fried favorites, like fish & chips, onion rings, scallops, and garlic and Parmesan truffle chips. I also recommend their Kiss Before Shrimp appetizer, and Dundon's Delight for dessert. Raglan Road is my favorite restaurant at Disney World for weekend brunch, and we also like to dine there for lunch and dinner. STK, Raglan Road, and Frontera Cocina are not Disney-owned and operated, but they are some of the best restaurants for gluten free dining at Disney World. 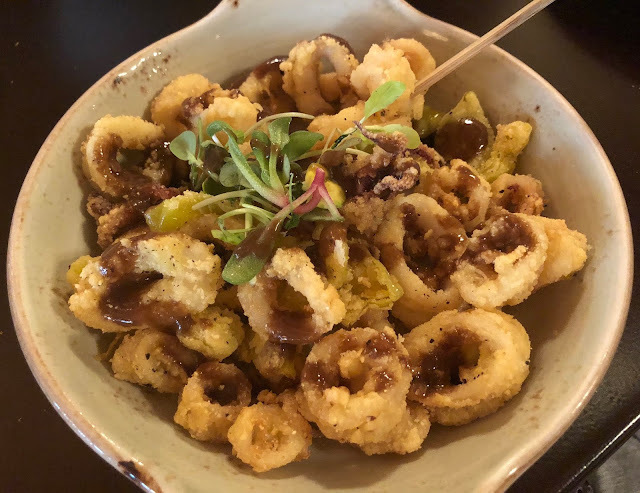 Frontera Cocina notes all major food allergens on their regular menu, and there are plenty of gluten free options to choose from. We never pass up the chance to have their amazing queso fundido with warm corn tortillas, which is one of my favorite appetizers at Disney World. If you love Mexican cuisine, I highly recommend a visit to Frontera Cocina. Our favorite table service restaurant at the Magic Kingdom is Skipper Canteen, which features Asian, African, and South American cuisine. I love the Jungle Cruise theming, and the servers make dining there a lot of fun. Skipper Canteen has so many interesting gluten free dishes to choose from, including our favorites, the Falls Family Falafel, Tastes Like Chicken Because It Is, and Dr. Falls Signature Grilled Steak. The Quick Sand, one of the best gluten free desserts at Disney World, features jasmine rice pudding, mango sauce, lemon curd, hibiscus meringue, and pineapple. Nomad Lounge is not a traditional table service restaurant, because you cannot make advance dining reservations to dine there, and its menu features small plates and cocktails from around the world. 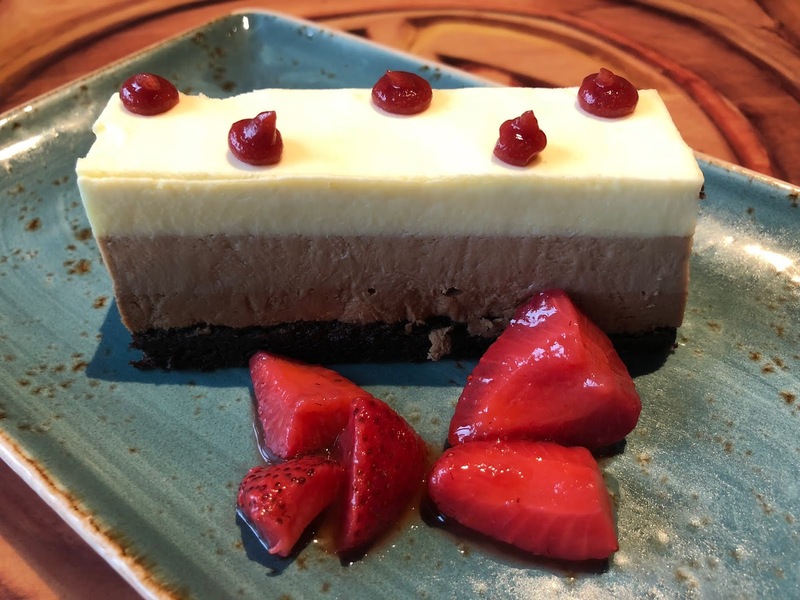 During our trip to Disney World in July, we dined at Nomad Lounge three times in eight days. Yes, we go there for their amazing gluten free churros with vanilla and chili-strawberry sauces, but we also love their small plates and drinks. Nomad Lounge's honey-glazed, coriander-spiced pork ribs are some of the best ribs I have ever had, and their Balinese Breeze is our favorite non-alcoholic drink at Disney World. This summer, we were also able to order appetizers and enhancements from Tiffins, the signature dining restaurant next door to Nomad Lounge. Picking a favorite table service restaurant at Epcot has always been hard for me, but after our 2018 Thanksgiving Break trip, I would have to chose Coral Reef. In July, I had a great meal at Tutto Gusto in the Italy Pavilion. We also love La Hacienda de San Angel, Akershus, Spice Road Table, and Le Cellier. I highly recommend Spice Road Table for a Candlelight Processional Dining Package. Their lunch pricing is reasonable, and we really enjoyed the food we had there over Thanksgiving Break last year. Next summer, I hope to dine at La Hacienda de San Angel and Akershus again for dinner. Mama Melrose's has long been our favorite table service restaurant in Disney's Hollywood Studios. They serve my favorite gluten free rolls at Disney World, and their pasta with housemade four cheese sauce is amazing. Our favorite dinner show at Disney World is the Hoop-Dee-Doo Musical Revue at Disney's Fort Wilderness Resort. When we lived in Orlando, it was the perfect spot for dinner on New Year's Eve. We loved renting a golf cart, so we could drive around after the show, and see all the Christmas decorations at The Campsites at Disney's Fort Wilderness Resort. 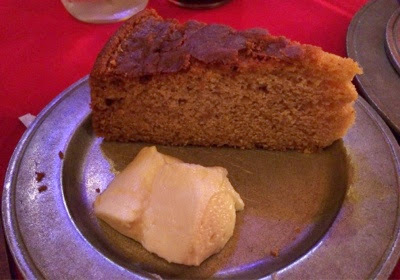 The gluten free cornbread at the Hoop-Dee-Doo is so delicious, and is always the highlight of my meal. You can view my previous posts about my favorite table service restaurants at Disney World here and here. What are your favorite table service restaurants at Disney World?